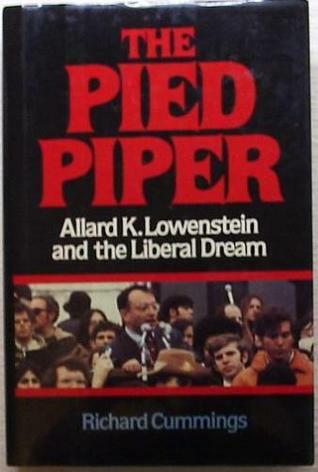 [Here is an interesting excerpt that someone else did based on The Pied Piper, written by Dr Cummings about the Jew Allard Lowenstein. This article below which leans heavily on quotes from The Pied Piper is worth looking at. Notice here, the claim by Dr Cummings that the Liberals including the Jew Allard Lowenstein were sent to "disrupt” and cause problems with the communist movements. This is among the mind-bending kind of stuff that Cummings wrote about in this enormous book. But how true is it? At one time I believed it. Perhaps there is a minor element of truth in it. But if so, this is soft stuff. This is NOT how to actually FIGHT COMMUNISM. In a miscellaneous  archive  show  entitled  "Gloria in Excelsis"
principal stockholder Katherine  Graham  of  the Washington Post. and the Liberal Dream.") This  was authored by Richard Cummings. York. And it's copyright 1985. Association]signing a 15-year rent-free agreement. Americans went "to cause trouble." disrupt a conference that had been scheduled for Algeria in 1965.
to "engage people in debate," as he corrects himself. Helsinki conference and the 1959 conference in Vienna as well. Yale University, himself also, for several years,  a  CIA  agent. Powers. William Sloan Coffin's CIA background  described  there. Returning once again to *The Pied Piper*, by Richard Cummings.